Fishery obtained recertification in spite of clear evidence of shark finning. 45 Non Government Organizations (NGOs) from around the world that work on issues relating to the conservation and sustainable use of marine resources, sent a letter last Monday to the Marine Stewardship Council (MSC) for granting sustainable fishing certifications to fisheries where it is acknowledged that shark finning had occurred. 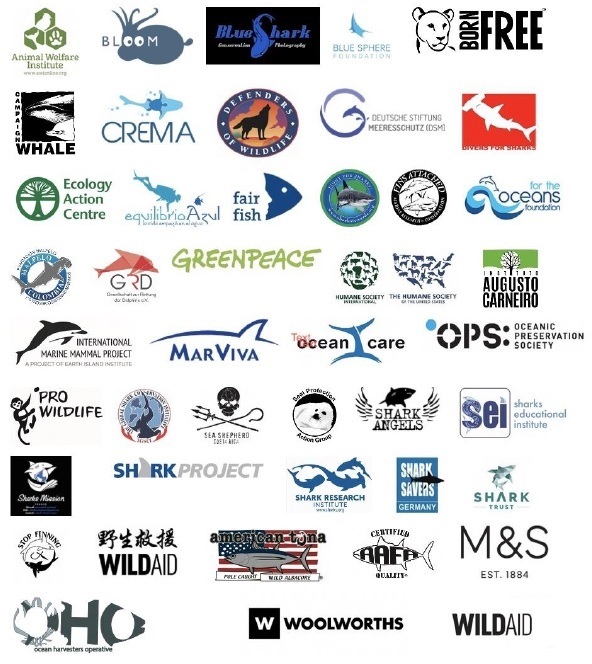 Letter sent by 45 NGOs to the MSC due to Shark Finning. The MSC is the most important global certifier of fishery products, and establishes sustainability standards for fisheries, through a certification and eco-labelling program. The MSC first granted a certification to the purse seiner yellow fin tuna and skipjack tuna fishery in the Western and Central Pacific, known as the Parties of Nauru Agreement (PNA) Fishery, in 2011. The NGOs adverse the recent recertification of the PNA Fishery for an additional 5 years, as the PNA observers themselves report the occurrence of shark finning. Furthermore, it is acknowledged that the fishery was involved in the retention, transhipping, and landing of non-authorized shark species, such as silky sharks (Carcharhinus falciformis) and oceanic white tip sharks (Carcharhinus longimanus). This occurs contrary to the sustainability standards promoted by MSC, which establish that fisheries in which shark finning occurs can´t opt for a certification. Document that explains the extent of the shark finning issue in the PNA Fishery. NGOs propose a 90 day time frame for an objection hearing to take place before the Revision Panel, where Parties set out their respective cases on whether the level of shark finning in the PNA is compliant with the MSC standard, as assessed by the certifier, Acoura. If the regular occurrence of shark finning is confirmed by the Revision Panel, the NGOs call for the immediate suspension of the granted certification. Randall Arauz. Marine Conservation Policy Advisor. Fins Attached Marine Research and Conservation. +506 8708 8253 (Costa Rica) / rarauz@finsattached.org.